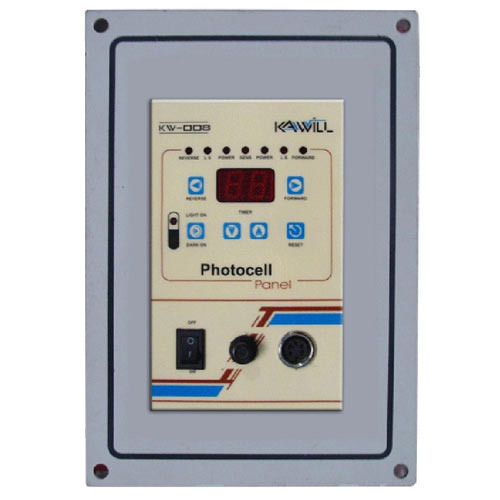 We are engaged in offering Digital Photo Electric Control Panel, which is extremely praised in the market. Owing to high demand, professionals make these products in varied patterns. Year of establishment 2018, B.K Traders is one of the well-known organizations, enormously indulged in retailing and trading an extensive series of products such as Clutch Brake, CNC Contactor, Control Panel, Pouch Packing Machine, Gm Bushes, Gear Box and FRL Unit. Our presented products are broadly admired by our customers for their sturdy design, top quality and longer life. Moreover, in order to supply the best quality products, these products are checked on diverse quality parameters using the advanced testing tools. Moreover, our honest dealing, moral business policy, nominal price structure, well-organized transport facility has helped us in maintaining renowned position in the industry.